Best known for his work in jazz, Marcus Rojas is a graduate of New York City's Fiorello H. LaGuardia High School of Music & Art and Performing Arts and holds a B.Mus. degree (with distinction) from the New England Conservatory of Music. A longtime member of Spanish Fly, which includes Steven Bernstein (trumpet) and David Tronzo (guitar), he has played on over 300 recordings. 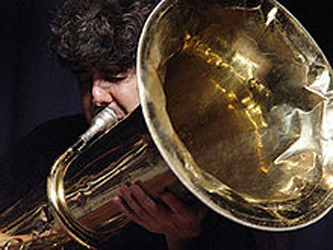 He has performed and/or recorded with a wide range of musicians, including They Might Be Giants, John Zorn, Henry Threadgill, Sly & Robbie, and Foetus. He teaches at New York University, the State University of New York at Purchase, Brooklyn College, and the Manhattan School of Music Pre-College Division.